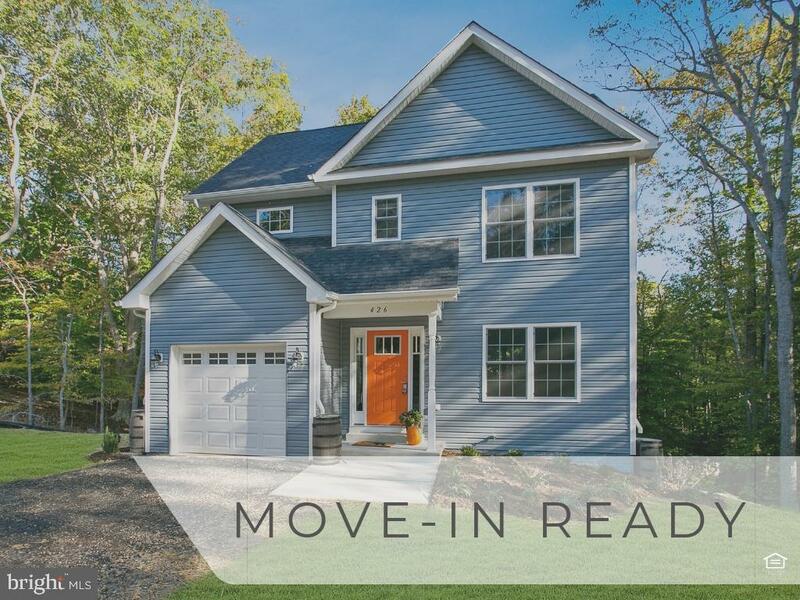 MOVE IN READY - Riverside One Builders has just finished a newly built new home with SMART HOME technologies - 16 SEER HVAC. 2x6 Construction. Ecobee Internet Thermostats with a voice-enabled smart thermostat with Room Sensors. Open and close your garage door from anywhere with your smartphone and other energy-saving technology. All with a 2-10 Builders Warranty. Large lot close to the main entrance. Upgraded finishes include honed wood floors covering the main level, wood stairs, 42"cabinets with an exotic leather finished granite. The master suite has trey ceilings and a large walk-in closet. The Super bath has a soaking tub and a seamless door shower. Ceiling fan and light rough-ins located in bedrooms and family room. The community has Chesapeake Bay beaches, lake activities, & campground. Directions: Rousby Hall back entrance. Left at sign, righ on COmstock house on left. © 2019 BRIGHT, All Rights Reserved. Information deemed reliable but not guaranteed. The data relating to real estate for sale on this website appears in part through the BRIGHT Internet Data Exchange program, a voluntary cooperative exchange of property listing data between licensed real estate brokerage firms in which A & O Realty Services participates, and is provided by BRIGHT through a licensing agreement. Real estate listings held by brokerage firms other than A & O Realty Services are marked with the IDX logo and detailed information about each listing includes the name of the listing broker. The information provided by this website is for the personal, non-commercial use of consumers and may not be used for any purpose other than to identify prospective properties consumers may be interested in purchasing. Some properties which appear for sale on this website may no longer be available because they are under contract, have Closed or are no longer being offered for sale. Some real estate firms do not participate in IDX and their listings do not appear on this website. Some properties listed with participating firms do not appear on this website at the request of the seller. Data last updated on 2018-05-30.